Gary and Sheldeen Haleamau believe it is their responsibility "to pass on the art, music and culture that will keep Hawaii alive, even on the mainland". 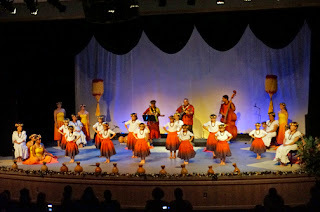 Gary and Sheldeen Haleamau performing Hula... "Ohana...Hali'a Aloha" at the Winchester Cultural Center, Las Vegas. Gari and Shelseen Haleamau, of Las Vegas, are the recipients of the 2015 Nevada Heritage Award in recognition of preserving and perpetuating traditional and contemporary Hawaiian arts and culture through the state of Nevada. This is part of the Aloha spiritual path that guides their lives and involves the practice of humility, perseverance, unity, and honesty. 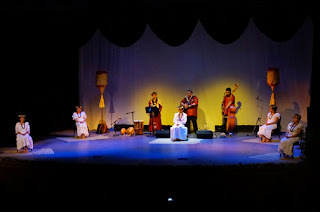 They believe it is their responsibility to pass on the art, music and culture that will keep Hawaii alive, even on the mainland. 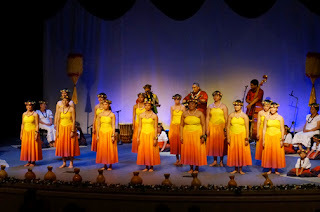 Pulama... to Cherish - Hula... "Ohana... Hali'a Aloha"
Halau Hula O Kaleimomi under the direction of Kumu Hula Sheldeen Kaleimomi Haleamau will be acceptiing new students in January 2015.